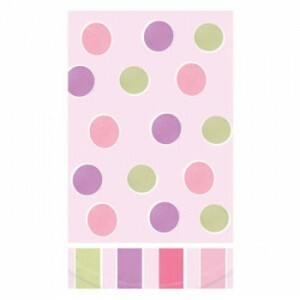 A large themed table cover in pastel spots with a pink background. Not only protects your table, but looks lovely too. 137cm x 259cm.